ALTA – ALTA 25: A huge success! ALTA 25: A huge success! March 2018 was a big month for ALTA! It saw the realisation of three successful anniversary events after months of meetings and coordination. 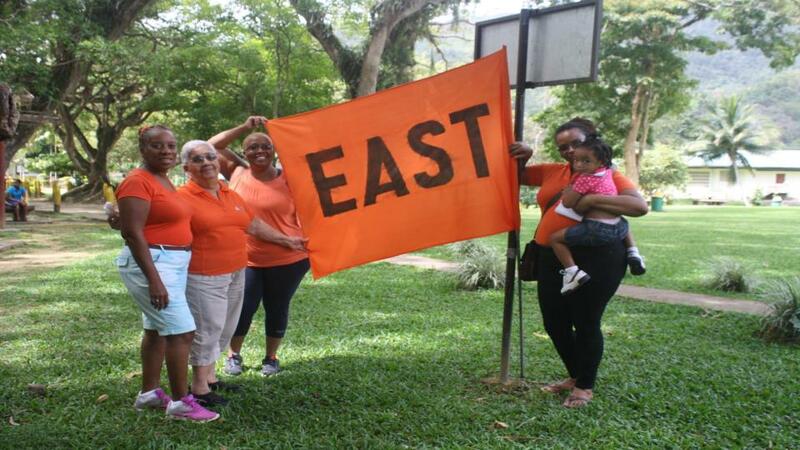 Our East Sports Day, North Readings Under the Trees and South/Central Fun, Food and Frolic Day were all well supported, ran smoothly and were enjoyed by all who attended. 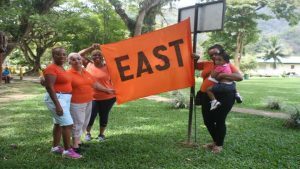 ALTA Tutors and Guides in the East and Mid- East Regions kicked off the 25 anniversary celebrations with a Sports Day at the Lopinot Historical Complex ,in the scenic Lopinot Valley on Saturday March 10, 2018. Students and tutors from venues throughout the two regions participated in the fun filled events. The St George’s College venue team emerged the overall winners having won the most events. Two of their students were awarded prizes for the best male and female participant and their tutors were triumphant in events as well. Special thanks goes to the Reading Circle guides from the Holy Saviour venue for officiating the proceedings, Sue Ann Sui Chock for the preparation and execution of the events, our master of ceremony, Bettina Dyer who did a marvelous job without a microphone, Veronica Fongyt for the opening prayer, Lystra Hazarie for her presentation on ALTA’s history and Carolyn Walker -Hepburn for managing the event. From securing the use of the facilities to relaying information about the sports to each venue, Carolyn assisted greatly! 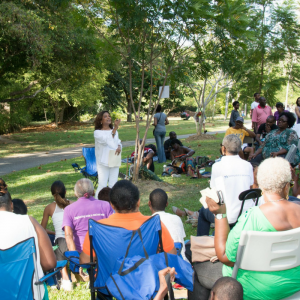 One week later the North/North West region of ALTA tutors welcomed authors such as Michael Anthony, Lisa Allen Agostini and Judy Raymond,joined by newly published writers such as Kevin Jared Hosein, Breanne McIvor and Judith Theodore to an afternoon of Readings Under the Trees. Authors read under select trees at the Gardens and were joined by ALTA tutors and students who read both original and published pieces of work. Members of the public were invited to come listen to the readings and contribute during the open mike sessions. Children were also welcomed as there was a special area for them with readings from children authors Jeunanne Alkins and Al Ramsawack and literacy games. It was a great afternoon and ALTA has decided to make it into an annual event. 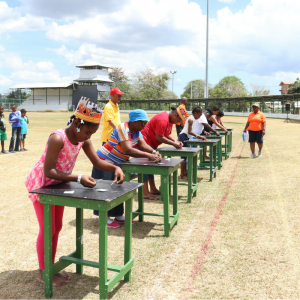 Our final ALTA 25 event was hosted by our South/Central Tutors at Guaracara Park in Pointe a Pierre on Saturday March 24, 2018. It was a day of sharing and caring with ALTA students, present and past tutors and their friends and families. There were at least 500 people there. The day started with a look at ALTA’s history for the past 25 years and then some tutors and students sharing what ALTA meant to them. This was followed by food sampling as all the venues brought different local delicacies to share; from fish broth to roti, kurma to ‘phonic’ cupcakes – there was a lot of food! 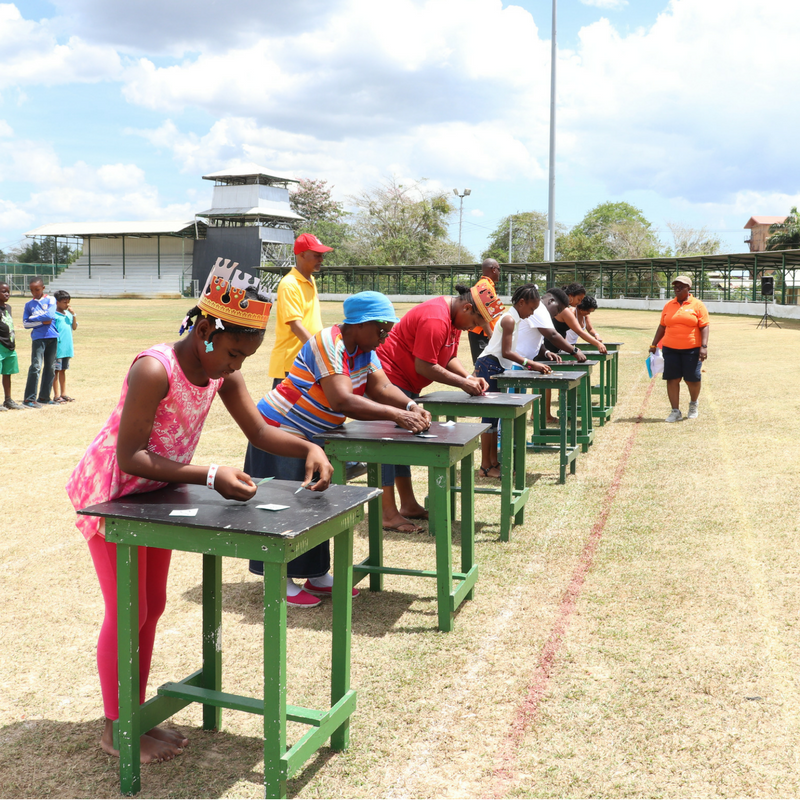 Then it was time for the games which catered to both children and adults. Tutors took traditional games and gave them a literacy twist. There was bingo, cricket, ‘make the word’ competitions. ALTA’s South/Central tutors are looking forward to more events like this in the future!